Southern Cross Smiles Can Offer You A Smile Makeover With Dental Veneers. Dental Veneers are an increasingly popular option to repair teeth and enhance one’s smile. 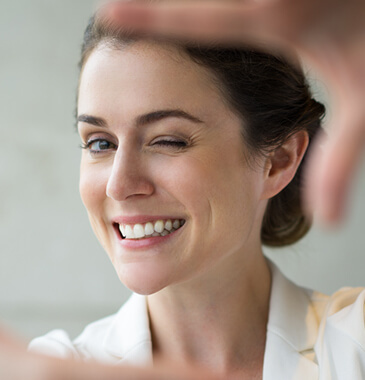 At Southern Cross Smiles, our dentists have a keen interest in cosmetic dentistry. 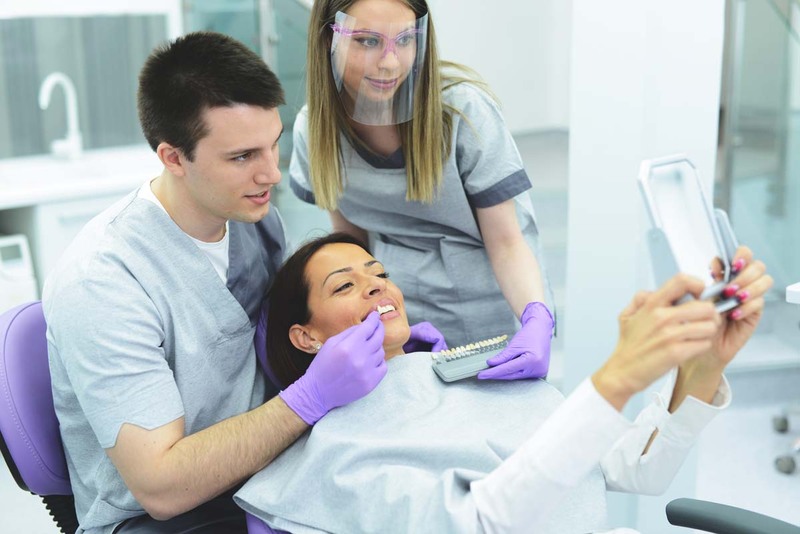 Dental Veneers is a simple and quick procedure which may require one or multiple appointments depending on the options chosen and the treatment involved. They are custom made and thin covering which are placed over the existing teeth to enhance the smile and add strength to the teeth. Composite veneers can be built onto existing teeth in one dental visit usually. The dentist reshapes the existing tooth and builds onto it with resin to get a more desirable shape or to repair a chipped tooth. The tooth composite build up is the light cured to harden it and give it strength. Porcelain veneers are more durable and longer lasting than composite veneers but cost more. The dentist takes impressions of your existing teeth and then a laboratory fabricates the veneers based on those impressions. In your subsequent visit, the dentist will then place and bond the porcelain veneers onto your existing teeth. What issues can we treat with the best dental veneers? The following are some of the issues treated with dental veneers. While the process of getting dental veneers differs with every patient, the overall procedure is quite similar. For porcelain ones, you need to take two sittings after initial consultation. After deciding the type of veneer, our team will prepare your teeth by removing thin layer of the enamel’s surface. Next, our dental experts will take an impression of your teeth. Whilst the veneers get prepared in the dental laboratory, we may be able to do a temporary build up on your teeth. 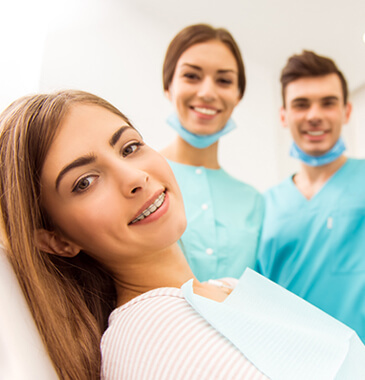 Due to our commitment and passion towards providing superior dental care, Southern Cross Smiles is the preferred as the go-to clinic for cosmetic dentistry in Docklands. Let your smile get a new life!